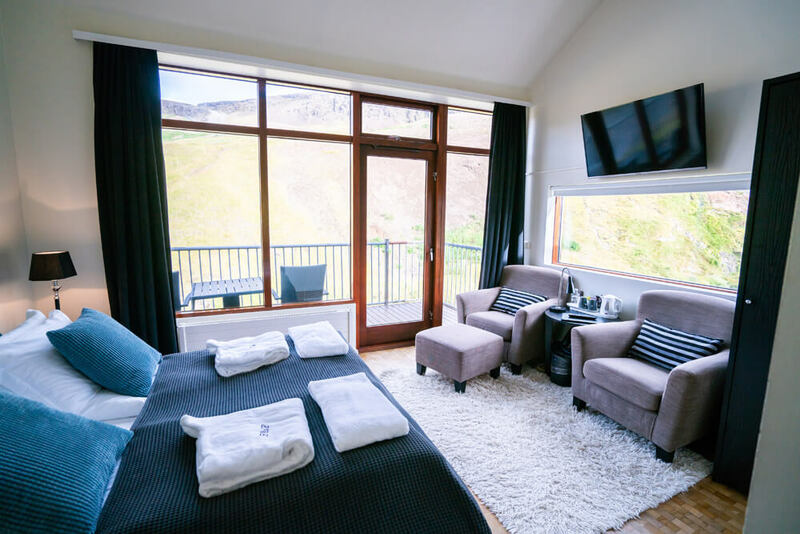 Get off the grid at Frost & Fire, a boutique hotel nestled in the geothermal foothills above Hveragerði village on the banks of the Varmá river, only 40 minutes from Iceland’s capital area and only steps away from the quaint village’s heart. 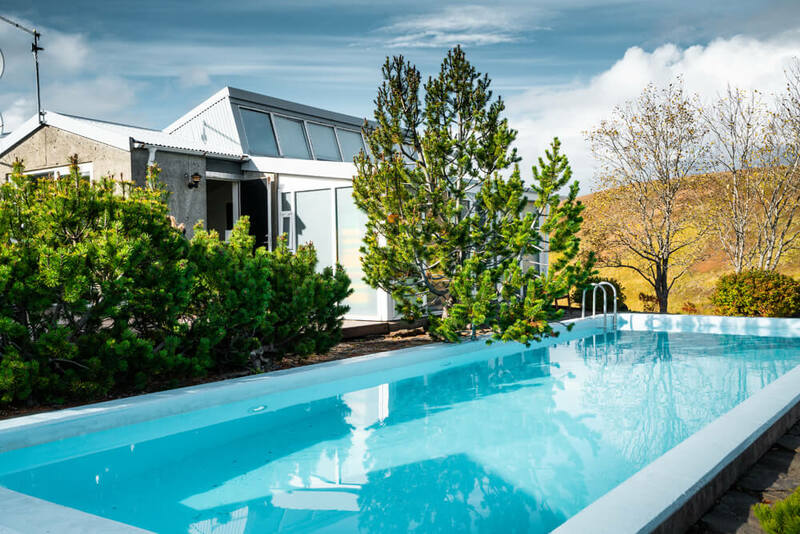 With luxury amenities, an exceptional restaurant and some of the best geothermal swimming and bathing facilities in the area, guests are treated to an authentically Icelandic escape like none other. Guests of Frost & Fire enjoy a breakfast like none other in Varmá, the hotel’s legendary restaurant. Frost & Fire prides itself on putting together a breakfast spread that showcases some of the greatest hits from Iceland’s culinary past, present and future. 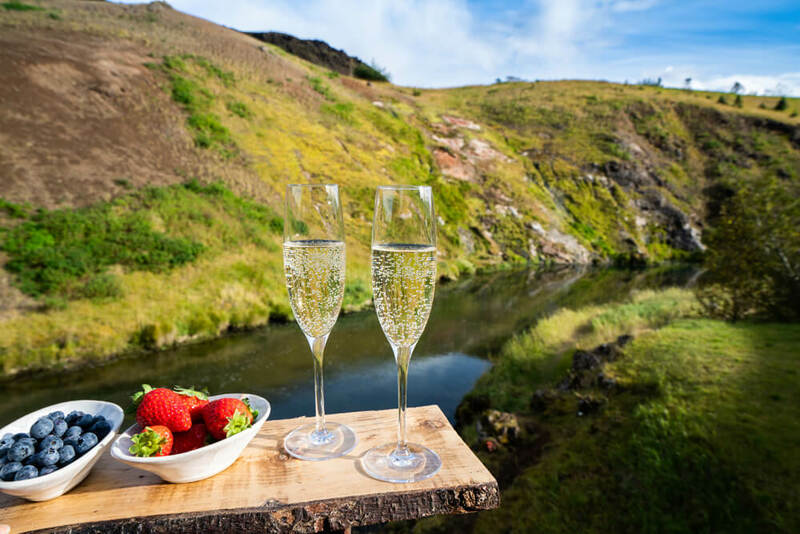 The hverabrauð, or hot-spring bread, has been a local delicacy for centuries: a rich, moist rye bread cooked overnight in our very own ancient hot spring. Or try our choice smoked trout, a traditional Icelandic indulgence, from an exclusive supplier in North Iceland. Our breakfasts rely largely on organic farm produce including organic coffee, tea, cereals, jams, marmalades, honey and breads from local suppliers. 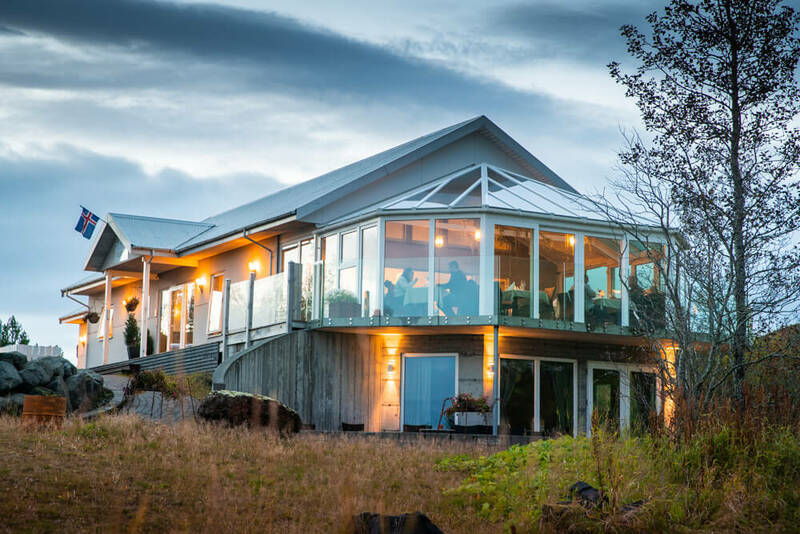 Our produce comes from Iceland’s own geothermally heated, eco-friendly greenhouses (the farm of the future!) and our eggs come from free-range, Icelandic hens (a heritage breed from the island’s settlement). 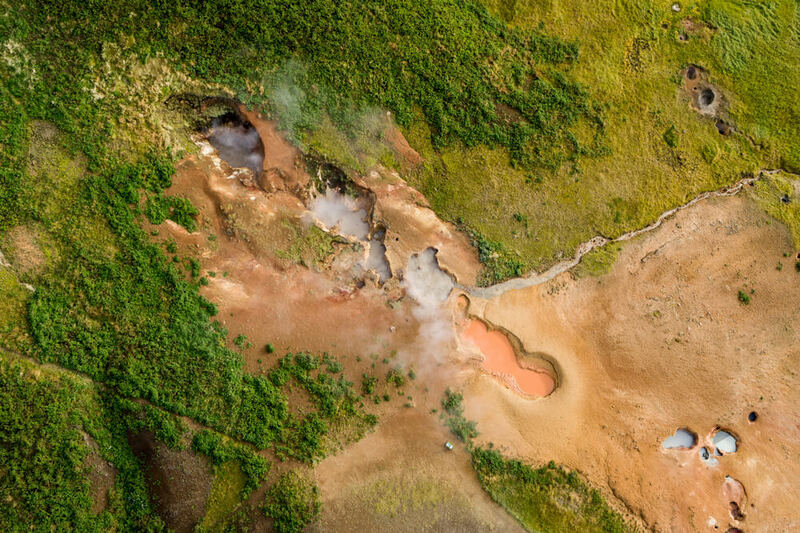 And if you’d like to try your hand at geothermal cooking, guests are encouraged to boil their own eggs in our hot spring. 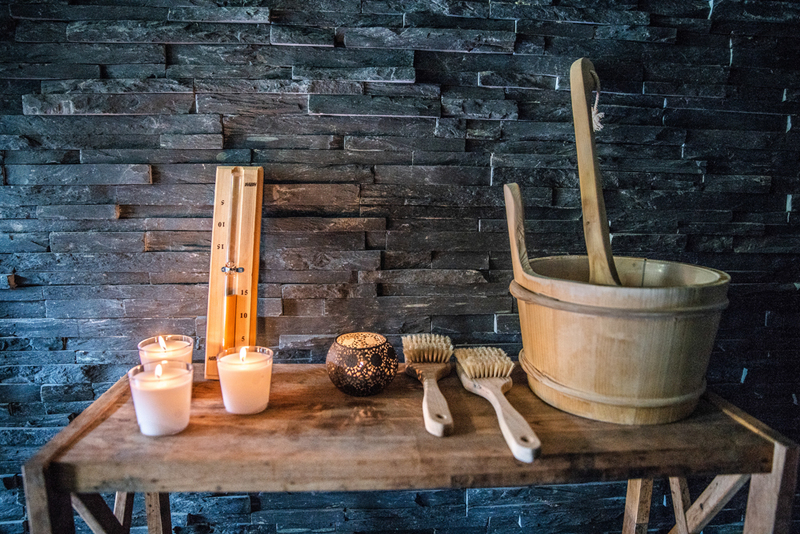 Take a break in our black stone sauna outfitted with wooden benches. It’s the quintessential Nordic way to recharge your batteries for your next outing. There’s nothing like unwinding in the outdoor hot tubs after an exhilarating day of hiking and exploring. And with the tubs right at the riverside there’s always a commanding view to take in. 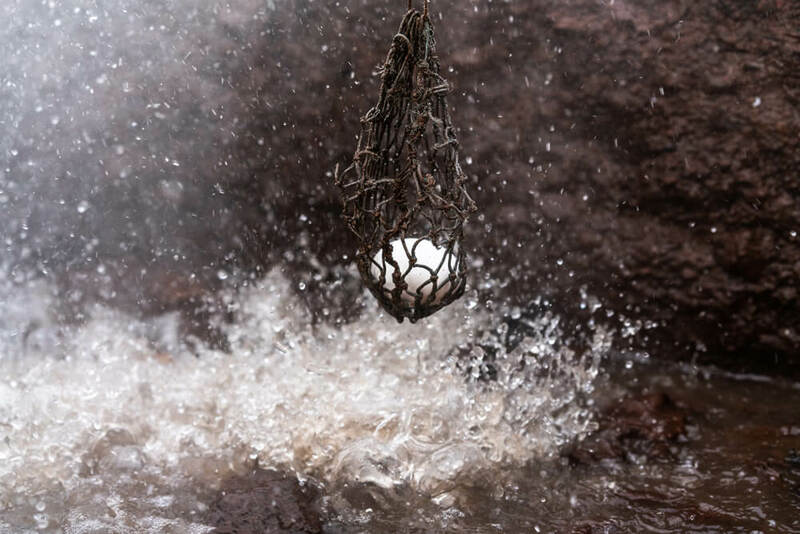 Like all our swimming and bathing facilities, the hot tubs are warmed by geothermal water from our own borehole. 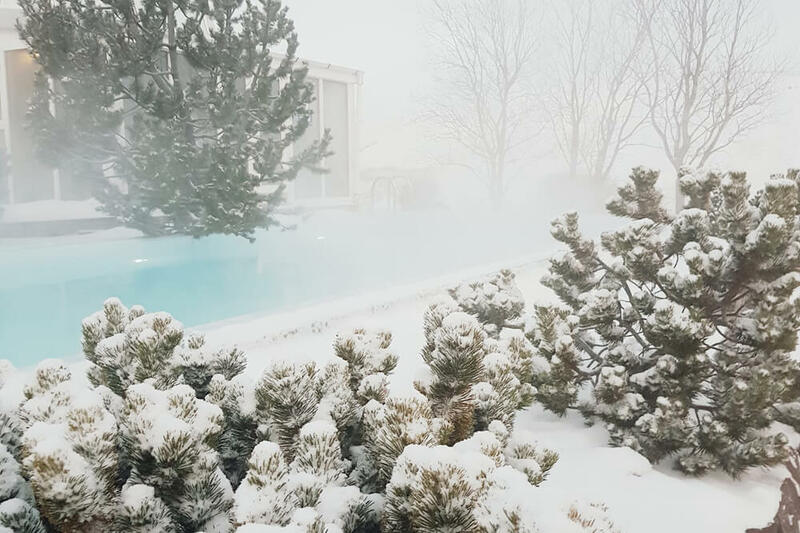 No matter the season, you will find a sense of quiet warmth and relaxation in the thermal waters. Soaking under the midnight sun when the landscape is at its most vibrant is unforgettable, but so is relishing the warm waters when snow covers the ground and the Northern Lights shimmer overhead. The hotel is perched on the banks of the river Varmá (literally “warm river), one of the hotel’s most distinctive landmarks. Views of the river and is gentle current are one of the highlights of the hotel’s rooms and restaurant (which is named after the river). And although it is a remarkably beautiful river, it is also one of the few rivers in Iceland that visitors can bath in (that is, if you’re not looking to freeze your rear end off!). The river is fed by several nearby hot springs, some of which empty directly into the riverbed, which can reach around 18°C. It’s an extraordinary experience to wade out into the Varmá on a dark night and submerge yourself in the water’s warm embrace. Only 40 minutes from Reykjavík you find yourself in Iceland’s otherworldly countryside, where steam rises from the hillsides and the Northern Lights dance overhead. 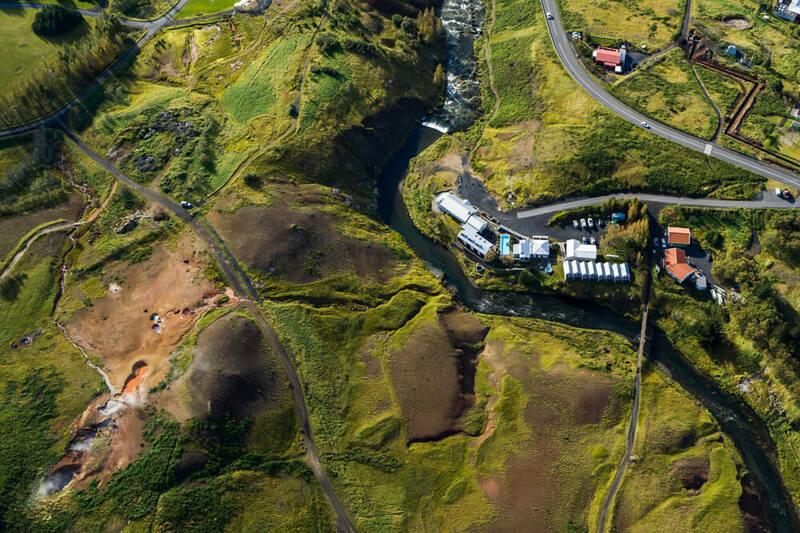 The area surrounding Frost & Fire is known throughout Iceland for its widespread geothermal activity, which makes it an ideal center for soaking and swimming, thermal greenhouses and, of course, discovering a remarkable landscape of sweeping valleys, gentle foothills, volcanic hot springs, fumaroles and hidden geothermal pools.